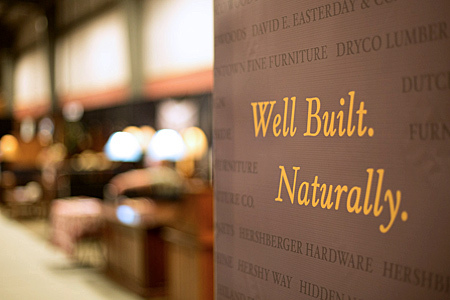 Exhibitors from all over Ohio come to showcase their high-quality furniture. Local Inns and Hotels are available nearby the Ohio Hardwood Furniture Market. Learn more about our Convenient Consolidated Shipping, a new way to ship orders together in a single trip. Browse through our Frequently Asked Questions if there is anything you are unsure of, or send us a question on our Inquries Page. Our Ohio Certified Stains ensure that manufacturers maintain the same color consistency for any project. The show wouldn’t be possible without the support of our sponsors. Find your way to the Ohio Hardwood Furniture Market.